"Delicious with greens and beans and other soul food. Serve with honey butter or maple syrup for a down-home treat." Mix yellow cornmeal, buttermilk, flour, egg, and salt together in a large bowl. Heat oil in a large skillet over medium heat. 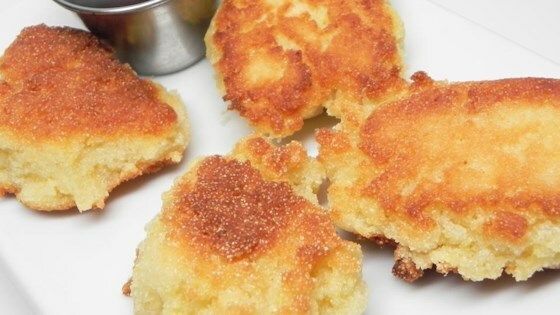 Drop spoonfuls of cornmeal mixture into hot oil; cook until browned and crisp, 2 to 3 minutes per side. Drain on paper towels. It didn't taste bad just more like a hush puppy. Nothing like good old fashion hot water cornbread but it was ok. Not anything I would probably cook again.